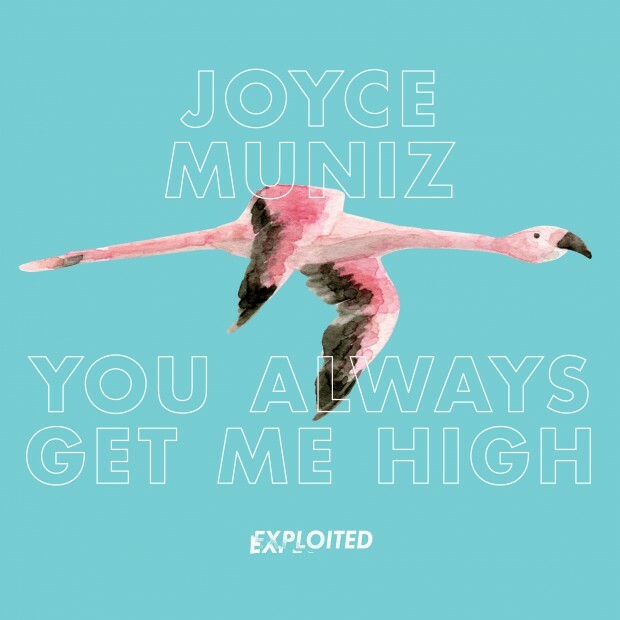 Brazilian-born Joyce Muniz immersed herself in the world of electronic music after moving to Austria at the age of 12. By the age of 16, she purchased her first 1212s and became one of Vienna’s youngest DJs. When the raw and pulsating sounds of Brazilian dance music baile funk infiltrated European house and techno, Muniz connected with her origins by providing vocals for Viennese producer Stereotyp. Solidifying her stance as a multitalented artist and MC, Muniz satisfied her craving to produce by diving deep into house music, carving out her own niche through a smooth-yet-funky sound often complimented by sultry vocals and thumping basslines. ’An early coup for Exploited was 2011’s ‘Morning Love’, Muniz’s collaboration with Louie Austen. An old school Viennese crooner who’d worked alongside the rat pack in Las Vegas, he’d risen to prominence again after the turn of the millennium, alongside the likes of Peaches and Gonzalez, on the crest of electroclash. With his lived-in vocals riding a spacey house groove punctuated by snippets of breakbeats, Austen was so impressed with Muniz that he asked her to produce his next album. This mutual respect was to arise again in the shape of Maya Jane Coles, who helped get Muniz’s music into the hands of 20:20 Vision, so far resulting in two Eps. Then Richie Hawtin got hold of an unreleased track and played it on his Ibiza Boiler Room. “I really was wondering how Richie Hawtin got it!” Joyce said. Still, got it he had, leaving just the clearance of its Kraftwerk sample from ‘It’s More Fun to Compute’ and the addition of a vocal by ex-Jungle Brother Bam, for the modern day hip-house of ‘Back in the Days’ to become a hit for Exploited last year.’ (DJMag) Not to forget her collaboration track ’Warriors’ with Bpitch longstay Kiki or her recent remix of Traffic Signs aka Steve Bug and Jake the Rapper’s ’Cookie Jar’.